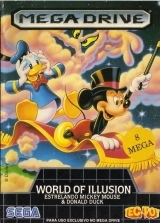 Mickey et Donald réunis dans un jeu de Plate Forme magique (normal, nos deux héros de Disney sont des magiciens), avec la possibilité de jouer à deux, les deux joueurs devant s'entraider de temps à autres. 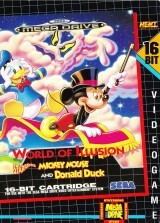 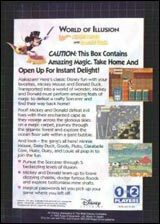 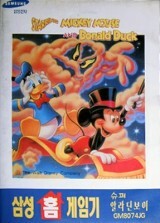 World of Illusion: I Love Mickey & Donald: Fushigina Magic Box	Contribute! 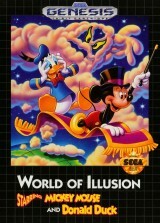 World of Illusion Starring Mickey Mouse & Donald Duck	Contribute! 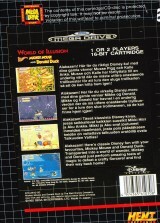 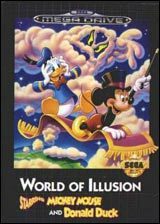 World of Illusion Starring Mickey Mouse & Donald (Classic Megadrive)	Contribute! 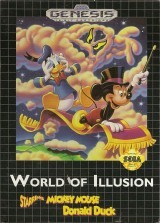 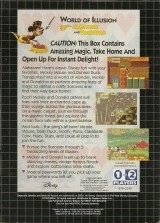 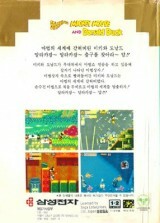 World of Illusion Starring Mickey Mouse & Donald Duck (Cardboard Box)	Contribute! 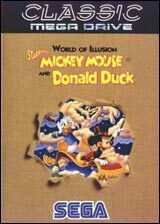 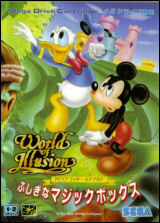 World of Illusion Starring Mickey Mouse & Donald Duck (english only cover)	Contribute! 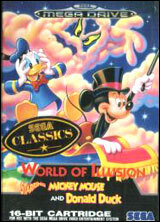 World of Illusion Starring Mickey Mouse & Donald Duck (8 languages cover)	Contribute! 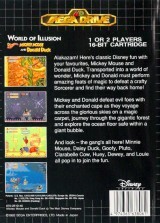 World of Illusion Estrelando Mickey Mouse & Donald Duck	Contribute! 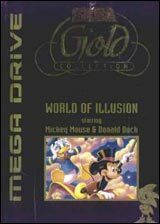 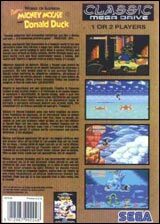 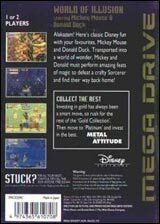 World of Illusion Starring Mickey Mouse & Donald Duck (Gold Collection)	Contribute! 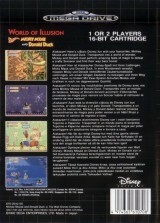 Includes a French only instruction booklet. 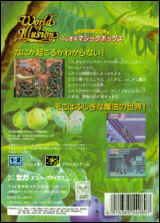 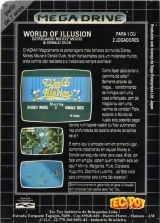 Cover and booklet in english. 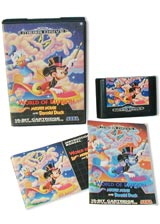 There are two variations for this game. 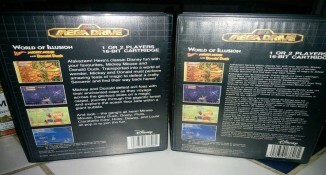 One Gold Label and one Blue Label. 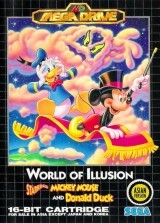 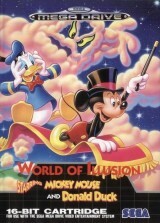 World of Illusion Starring Mickey Mouse & Donald Duck (Rental version)	Contribute!